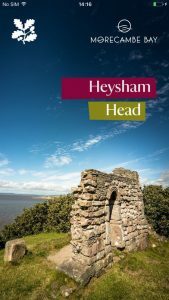 The Heysham Head app is a walking audio tour which reveals the secrets, stories, histories and nature of the National Trust’s Heysham Coast site, set against stunning views over Morecambe Bay in north-west England. The National Trust Heysham Coast site is free to access at any time of day. The app is best experienced using headphones or earphones. The full walk is around one mile long and should take you just over one hour. Alternatively you can explore Heysham through the app, from the comfort of your own home, wherever you are! Download the app now on Apple and Android devices or search ‘Heysham Head’ in your App store. 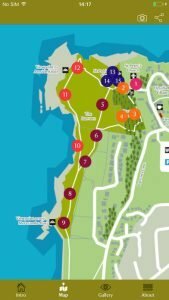 This free smartphone app is a joint collaboration between Morecambe Bay Partnership and the National Trust, with funding from the Coastal Communities Fund.